Bread & Butter Farm's Fall Festival is suitable for littles and their grown-ups. 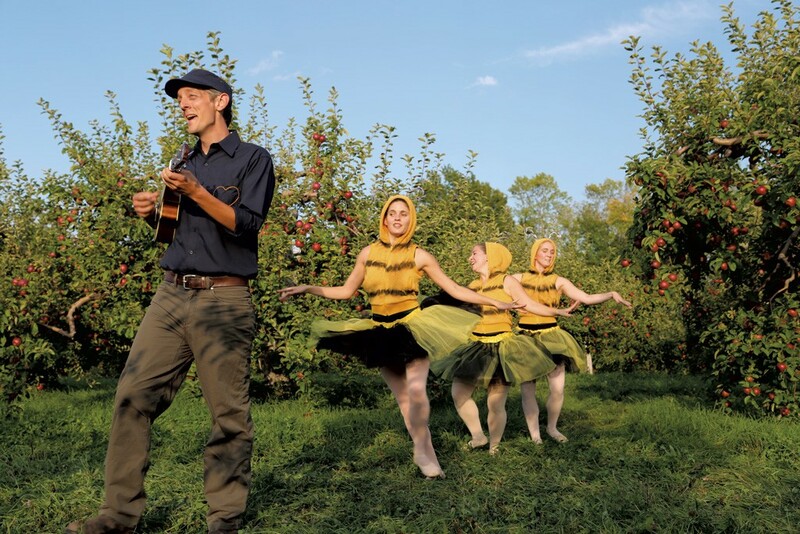 It begins with a Ballet Vermont performance to Antonio Vivaldi's Four Seasons, in which a variety of insects "come to life." Then there are dance activities and songs from Mr. Chris. Dusk brings lullabies and an encore ballet performance called "Fireflies at Dusk." Audience members are encouraged to bring their own picnics. Fall Festival: Saturday, October 14, 3-6:30 p.m., Bread & Butter Farm. $20. Info, , 985-9200, breadandbutterfarm.com. Cabot Apple Pie Festival: Confident bakers enter their pies for judging, and others donate pastries for sale to benefit the Cabot Historical Society. Expect crafts and raffles, too. Saturday, October 14, 9 a.m.-3 p.m., Cabot School, Free. Info, 563-3396. Reinventing the Wheel: Milk, Microbes and the Fight for Real Cheese: Cheese experts Bronwen and Francis Percival discuss the ways in which industrial processing has smothered the artistry of cheesemaking. Yet they also believe that the combination of thoughtful science and traditional methods could bring the culinary craft to new and glorious heights. Saturday, October 14, 3-5 p.m., Shelburne Farms. $5. Info, 985-8686, shelburnefarms.org. Buon Appetito! Italian Wine Dinner: Sample Italian dishes, served family-style, and hear Umbrian winemaker Danilo Marcucci tell stories while he pours libations. Who is Marcucci? Sassy wine blogger Marissa A. Ross calls him the "Yoda of Italian natural wines." Listen to him you must. Tuesday, October 17, 6:30-9:30 p.m., Cork Wine Bar & Market, Stowe. $72.05. Info, 760-6143, corkvt.com.